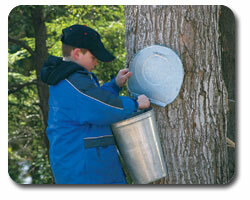 At the end of February and on through early March, sap begins flowing up the trees to start the Spring growth. By "tapping" maple trees and collecting the sap, then boiling it down to increase the sugar concentration, we make pure maple syrup. 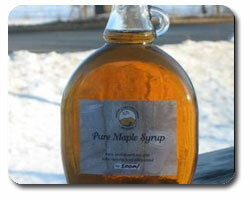 Look for the "taps" on the trees throughout the park, then enjoy the syrup on pancakes or your favourite treat.